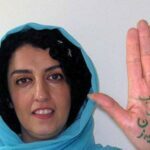 Human Rights Activists News Agency (HRANA) – Evin political prisoner Maryam Akbari Monfared wished her daughter a happy 13th birthday in letter she wrote from behind bars, where she has spent every one of her daughter’s birthdays for the past nine years. 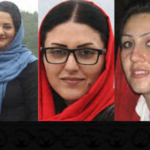 Monfared, along with fellow prisoners of conscience Golrokh Ebrahimi Iraee and Atena Daemi, was recently punished with a three-week ban on family visits per verbal orders from the director of the Evin Prison Women’s Ward. All three were told they were being disciplined for protesting authorities’ attempts to unlawfully interrogate them this past September. In the middle of a cold, rainy December night, they tore you from my arms. You were only three and a half years old, and you had your arms locked around my neck. You were in a deep, angelic sleep. Nine years have passed since then. All these years, I have celebrated your birthday in the prison visiting room. All my cellmates have shared in my joy. Every year, I prepared for your birthday days ahead of time, as best I could. I have watched you grow from the other side of the visiting room glass, and I drew lines on the concrete for every year that you grew. While I was in prison you started school, and then you were no longer a little girl. And now, this year, you’re turning 13. We spoke about our wishes a week ago on the phone: you asked me whether you could come for a visit the following week, on your birthday. “Why wouldn’t you? !” I replied. “Of course you can!” Little did I know that our rare joys were being watched with malice from afar. It was more than I could bear to tell you that our visit next week would be canceled. 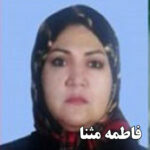 My heart burned with anger and loathing for [the authorities], who would rob even the smile off your face. Flames of rage are still burning inside me. Tomorrow is your birthday. I’ve been talking to my friends about it all day. I close my eyes and travel back in time to Iran Hospital, October 8th, 2005. It is 6 a.m., and I am sitting in the hospital lobby. It is 10 days past your due date, but looking back now, it seems you were stalling your arrival in this world, that you foresaw that you would be targeted by the storms of life. But finally, you came, and your very first cries at 12 p.m. brought a smile to my face. I still feel your beautiful face and your first cry, and sense the sweet feeling of taking you into my arms for the first time. I opened my eyes and there you were, a beautiful doll in a pistachio-green blanket with snowflakes on it. The delight of breastfeeding you, the joy of when you first opened your eyes; the first steps you took towards a beautiful life and future, and the music of your first word. 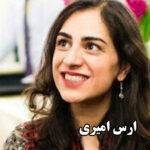 My dear Nazanin: I was not with you on your 13th birthday. I know that by now you understand why we’re apart. I know that you’ve suffered a lot these past nine years. Yet, we have promised each other to smile until smiles light the faces of all of Iran’s children. We promised each other to cherish our brief visits, for all of the times that we miss being together. We have pledged together to vanquish a monster. 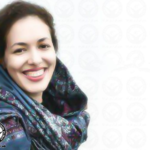 Maryam Akbari Monfared was arrested December 2009 during protests following Iran’s contentious election cycle of that year. 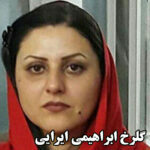 In June 2010, Judge Salavati of Revolutionary Court Branch 15 sentenced her to 15 years in prison on the charge of “moharebeh” (enmity against God), on the premise that she was a member of the People’s Mujahedin of Iran (MEK). Monfared denied the charge. 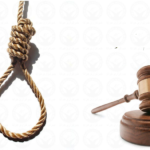 Two of Monfared’s brothers were executed in 1981 and 1984 for membership in the MEK after being convicted in revolutionary courts. A younger brother and sister were also executed in 1988 as part of a mass execution of political prisoners. Human Rights Activist News Agency (HRANA)- Ruqayya Haji Mashallah, a 37-year-old citizen of Bahrain, was detained on April 20, 2018 by security forces in Mashhad. In custody ever since, she has only been able to speak to her family in Bahrain twice since her arrest. 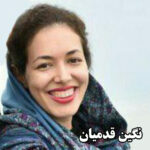 An informed source told HRANA that Haji-Mashallah’s annual pilgrimage to the Shrine of the Eighth Shi’i Imam, located in Mashhad, has brought her under the suspicion of the Islamic Revolutionary Guard Corps (IRGC). “IRGC Intelligence claims that Ms. Haji-Mashallah has been tasked by the Bahraini government with identifying supporters of Issa Ghasem, a Bahraini opposition leader,” the source said. 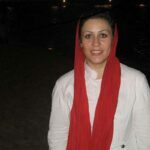 Immediately after her April arrest, Haji-Mashallah was held in solitary confinement at an IRGC detention center for 12 days. 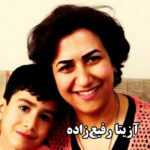 She was then transferred to Evin’s Ward 2A, also under IRGC jurisdiction. Two months of interrogations later, she was taken to Evin’s general Women’s Ward, where she has remained since. 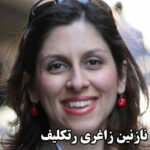 Severed diplomatic relations between Iran and Bahrain have prevented Haji-Mashallah from contacting her husband and three children with the prison telephone. 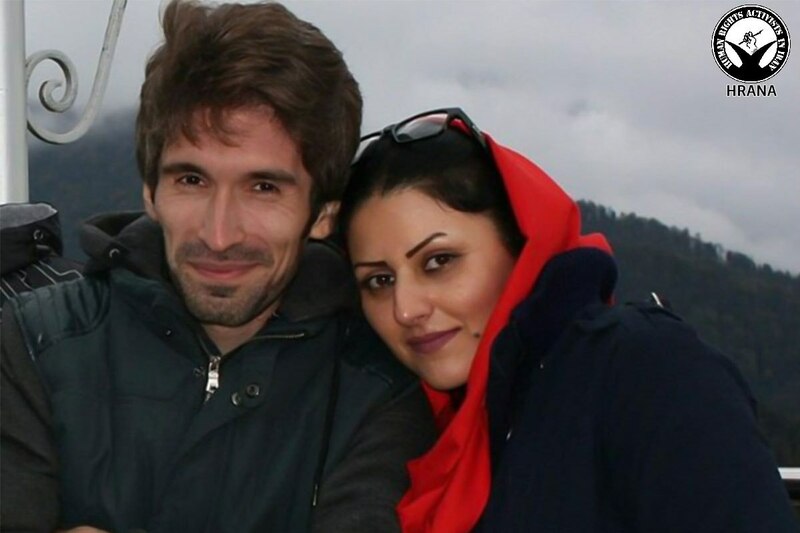 “Since June 27th, when she was transferred to the Women’s Ward at Evin, she has been taken only twice to the IRGC Ward so that she can contact her Bahraini husband and children using the internet. 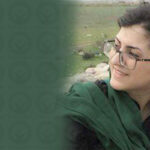 Her husband has traveled to Iran once to visit her,” the source added. Judge Salavati is presiding over Haji-Mashallah’s case file. As of the date of this report, her court date has not been set. 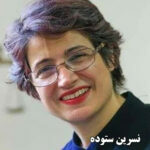 Human Rights Activist News Agency (HRANA) – Authorities at Evin Prison in Tehran have denied parole to Sotoodeh Fazeli, a 66-year-old political prisoner suffering from thalassemia, cancer, and a family history scarred by merciless judicial directives. 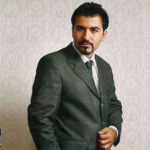 Two of Fazeli’s sons, Peyman and Pooya, are in the Albania-based camp of the People’s Mojahedin Organization of Iran, also known as Mojahedine Khalq (MEK). 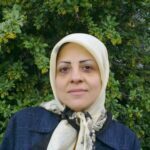 When MEK was based in Iraq’s Ashraf camp, Sotoodeh attempted to visit her sons for the first time in many years, but was arrested before traveling there. “She hasn’t seen then in 18 years,” a close source told HRANA. 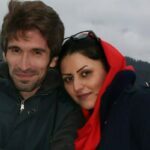 According to the above source, Fazeli was arrested in early 2011 by the Intelligence Ministry and spent 31 days in Evin’s Section 209 before being released on bail that spring. 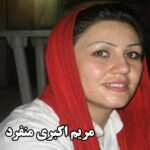 According to the source, Judge Salavati tried Sotoodeh, but she was never formally sentenced. 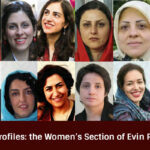 Nevertheless, on June 29, 2016, she was arrested and sent to the Evin Women’s Ward, where she learned she had been sentenced to three years in prison despite having never been convicted. 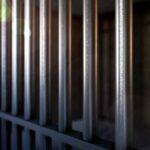 After a brief release on furlough in July of 2017, Fazeli was returned to the prison in May 2018 despite her old age and the advancement of her disease. Her recent request for conditional release has been denied. 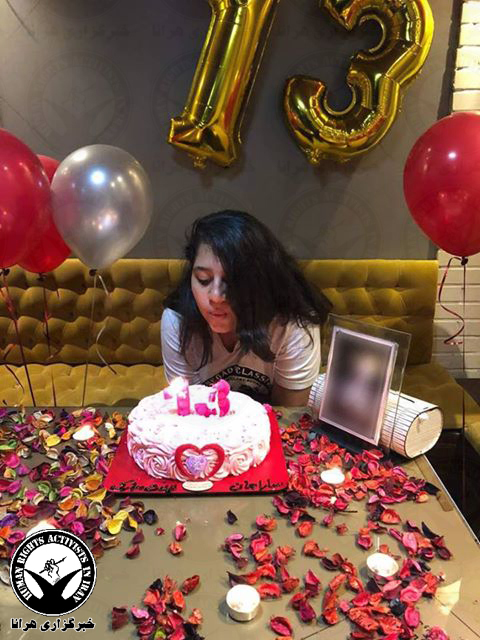 When Fazeli’s mother late Masoome Haj Abdolrahim Khabbaz requested a meeting with her daughter in the last days of her life, her family made great efforts to facilitate the visit. 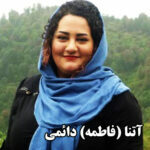 But Sootodeh’s hopes to be granted a hospital visit with her ailing mother, even for a few hours and in handcuffs, was denied by the Prosecutor’s office. While Iranian legislation, including a ruling (or fatwa) from Iran’s Supreme Leader Ayatollah Khamenei, supports conditional release of prisoners over 55 years of age, requests from eligible detainees are often denied in practice. Fazeli’s brother Seyed Shamseddin Fazeli was arrested in 1982 at the age of 20. His family learned of his execution when he was already dead, after he had spent three years in prison without ever being sentenced in court. Fazeli, who is now retired, worked for 30 years as a school teacher.